If you have a smartphone, it’s time you take your security more seriously. Use the FCC’s new tool. Download security apps to enable remote locating and data wiping. Back up the data on your phone if it’s lost or stolen. Wipe the data on your old phone before donating, reselling or recycling it. Learn to safely use public Wi-Fi networks. Find out what you need to do if your phone is stolen. The FCC worked together with the Department of Homeland Security, Federal Trade Commission, CTIA wireless trade organization, National Cyber Security Alliance and mobile security companies Lookout, Sophos and others to develop the checklist. India plans to double on-orbit transponders by 2017 under five-year government investment program. South Korea recovers what it believes to be debris from the North Korean rocket launched this month. SpaceX’s 10 story Grasshopper rocket ascends to 40 meters and hovers in 3rd test flight. Russia embarks on 2.1 trillion rubles (about $70 billion) 7-year state program for development of national space industry. Iran Space Agency announces it will unveil new home-made satellite in February. Orbcomm enters into a launch agreement with SpaceX to launch up to 18 Orbcomm second-generation commercial communications satellites. Chinese offers services on Beidou satellite navigations network to users in Asia-Pacific region, in competition with America’s Global Positioning System. U.S. Air Force selects AGI and A.I. Solutions to support Pentagon Space Ops Center upgrade. Angosat, the first satellite for the nation of Angola, is being built by a Russian consortium. NASA’s newest Landsat satellite arrives at Vandenberg AFB in preparation for January launch. U.S. Air Force Life Cycle Management Center releases request for proposal intended to move Space Fence program forward. Maldives communications minister claims the country is potentially entitled to an orbital slot, and that two Chinese companies approached the country’s defence minister about launching a satellite during his recent visit to China. U.S. Navy to install Raytheon Company’s Navy Multiband Terminal on over 300 ships. Telefonica will use Eutelsat’s high-performance KA-SAT to provide satellite Internet connectivity across Europe. Globalstar’s common stock to be delisted by NASDAQ. British-made military satellite with ‘anti-jamming’ capability is orbited. ViaSat receives $52 million contract from unnamed U.S. government agency to provide broadband services via satellite to government aircraft. UK-based GVF adds three authorized test entities in three major regions, doubling the size of the industry network of authorized test entities to provide type-approved equipment for the satellite industry. Mexsat Bicentenario satellite sends first signals from space. Gilat will begin supplying satellite-based communications solutions for all Israeli governmental offices and defense organizations. Kratos gets $17.5 million U.S.A.F. contract for Command and Control System for current and future military communication satellites. Export-Import Bank of Chine to provide Belarus with $280.8 million load for development of national communication and broadcasting satellite service. Airtel and Comtech EF Data get award for Best Backhaul Solution for Africa at 5th annual AfricaCom Awards ceremony. 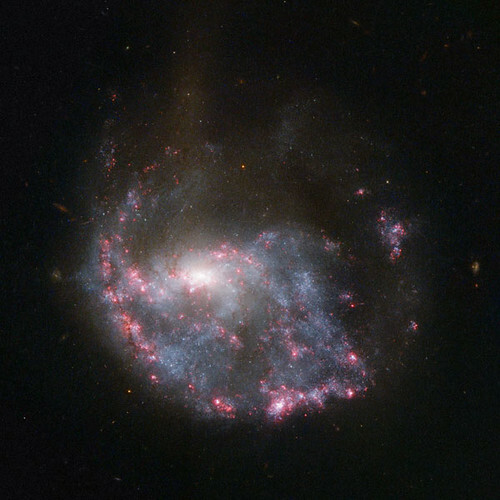 Astronomers using Europe’s Herschel Space Observatory ask public for help in finding holes in the dust clouds throughout the galaxy using images from Herschel. Map of Earth at night published by NASA two weeks ago showed large number of lights in uninhabited areas of Western Australia that turned out to be lightning and wildfires. U.S. House and Senate agree on satellite export reform legislation. Ariane 5 completes it’s 67th launch, the 7th and final of 2012, accurately delivering Skynet-5D and Mexsat Bicentenario into their respective orbits. Independent Oversight Board formed to investigate solar array deployment anomaly following launch of Intelsat 19 exonerates Sea Launch rocket in the incident. Virgin Galactic’s SpaceShip Two completes first test glide flight with rocket motor components installed and thermal protection applied to its leading edges. United Space Alliance closes its Washington lobbying operation. SES announces that it is the first satellite operator to offer satellite broadband service with download speeds up to 20Mbit/s for consumers in France. NASA’s next-generation communications satellite, TDRS-K, arrives at Kennedy Space Center in preparation for January 29, 2013 launch. XTAR retools and reconfigures infrastructure to provide new potential for its X-band bandwidth, including Airborne Intelligence, Surveillance, and Reconnaissance (AISR). Eutelsat 21B fully enters commercial service at 21.5 degrees East. Member of European Space Agency officially approve cooperation between ESA and Roscosmos on European Mars exploration ExoMars, led by Thales Alenia Space as prime contractor. Thuraya Telecommunications combines with Japan’s SoftBank Mobile to provide Japanese business, enterprise, and consumer subscribers across Thuraya’s satellite network with mobile satellite communication services. Following highly successful GVF Ka Roundtable Assembly in London December 5th and 6th, the satellite industry calls for a further platform to facilitate extended industry and end-user dialogue about high capacity and high throughput satellites. Competition from Unmanned Aerial Vehicles (UAVs) presents challenges for Earth Observation (EO) satellite operators – new NSR report. New mobile app Arianespace HD allows users to follow Arianespace launch activities. ESA to inaugurate the third and last of its 35-meter-diameter deep-space tracking antennas in Argentina, matching those in Australia and Spain. 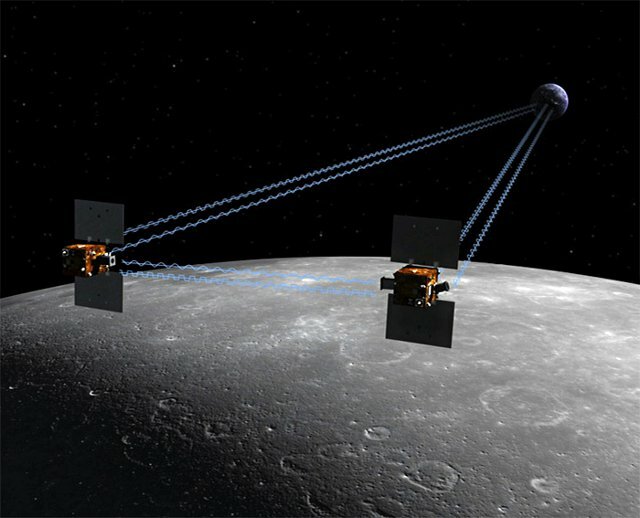 NASA’s Ebb and Flow twin moon observation spacecraft to crash into moon next week after successful 1-year mission. Without information from polar-orbiting satellites, NOAA forecasts of Hurricane Sandy’s track could have shown the storm remaining at sea according to new study by European Centre for Medium-Range Weather Forecasts. Raytheon to design small satellites for DARPA’s SeeMe program, to enhance warfighter situational awareness on the battlefield. MDA signs $100 million contract with Israel Aerospace Industries to supply communications payload solution for Amos-6 satellite. NSR report answers key questions concerning the satellite UltraHD market. TCS ranked 380 among 500 fastest growing technology, media, telecommunications, life sciences and clean technology companies in North America on Deloitte’s Technology Fast 500. Astrotech Corporation wins contract for commercial payload processing services at Vandenberg Air Force Base from NASA. Hughes India contracts to connect 27,000 off-s8ite ATMs with secure broadband satellite network for India’s Ministry of Finance. Satcom Direct launches FlightDeck 360 mobile application enabling customers to view real-time flight data and use Internet connection before and during flight using an iPad. Intelsat donates satellite capacity to support broadcast of Hurricane Sandy relief concert. NASA Earth Observation satellite EO-1 photographs Russian volcano eruption. SolarCity, solar energy company backed by SpaceX entrepreneur Elon Musk, issues IPO and shares jump 47%. Top-secret mini version of space shuttle launched on mystery mission. U.S. wants new sanctions for North Korea after successful rocket launch. DISH gets FCC approval to repurpose satellite spectrum for mobile use. NewSat to install new iDirect Evolution universal satellite hub and upgrade to iDirect’s SatManage 5.2 network management software to expand service offerings and capitalize on upcoming launch of Jabiru-1 high throughput satellite (HTS). MapBox, a provider of open source solutions for designing and publishing maps via the cloud, selects DigitalGlobe as their commercial Earth imagery provider. XTAR gains significant segment of growing airborne intelligence, surveillance, and reconnaissance market over past year under several contracts representing more than 100MHz of bandwidth and valued at more than $8 million. Gazprom’s Yamal-402 finally reaches correct orbit after course corrections forced by early shutoff of Breeze M engine. NASA suggests use of Velcro could help facilitate in-orbit repair of satellites. Six Globalstar satellites scheduled for February 2013 launch are now at Baikonur Cosmodrome. Turkey announces December 19 launch date for its first National Earth Observation Satellite, Gokturk-2, from Chinese Jiuquan Base. Russian Yamal-402 satellite released early from Briz-M booster into wrong orbit. Golden Spike Co., launched by team of former NASA executives, to sell trips to the moon for two for $1.5 billion. Europe’s Global Monitoring for Environment and Security satellite system gets re-inserted into the European Union’s multiannual financial framework, but faces a 35% cut to its seven-year budget. Europe decides to offer Galileo’s Public Regulated Service signal to non-European allies that sign security agreements. Thales Alenia Space Italy signs contract with Astrium GmbH of Germany to provide systems for Europe’s BepiColombo Mercury orbiter. Infrared sensor manufacturer Sofradir to purchase infrared divisions of its two parent companies, Thales and Sagem. ScanEx Research and Development Center signs distribution agreement with Astrium GEO Information Services for selling data from Pleiades-1B and TerraSAR-X satellites. Boeing orders batteries from Saft of Paris for first batch of Boeing 702SP all-electric satellites. U.S. Pacific Command moves ships into place to monitor possible North Korean rocket launch, professed by the North Koreans to be a satellite launch, but viewed by U.S. as demonstrating capability to launch intercontinental ballistic missiles. Thales Alenia Space gets Russian Yamal 402 satellite ready for December 8 launch. South Africa discussing design of new satellite to replace Sumbandila, incorporating lessons learned from Sumbandia’s failure after two years due to severe radiation. Hong Kong based SpeedCast acquires Australian Satellite Communications. ViaSat successfully implements Integrated Waveform Network Control Station for the United Kingdom Ministry of Defense, to effeicently mange its UHF SATCOM assets. As North American DTH growth stagnates, DirecTV focuses on Latin American while Dish Network looks to leverage its recent wireless spectrum acquisitions. The third Galileo satellite transmits its first test navigation signals back to Earth. U.S. Air Force Space and Missile Systems Center awards SpaceX two Evolved Expendable Launch Vehicle class missions. Globalstar satellite affected by momentum wheel failure in early 2011 is returned to service following software fix. Xiplink signs reseller deal with Globecomm; initial deployment will provide optimized Internet access for crew welfare on maritime vessels. Eutelsat 70B successfully boosted into orbit by Sea Launch. GPS receiver built by Surrey Satellite Technology Limited successfully achieves a GPS position fix at 23,300 km altitude – the first position fix above the GPS constellation on a civilian satellite. Globecomm reaches milestone, providing connectivity services to 3,500 ships globally. Gulfsat Madagascar signs long-term capacity deal with O3b to deliver high-speed satellite broadband across Madagascar. KVH implements technical changes resulting in 60 percent increase in satellite capacity of its mini-VSAT network in Europe, the Middle East, and northern Africa (EMEA). Full electric propulsion satellite target of SES and ESA partnership. Virus hijacks data on newest Japanese rockets from Japan’s space agency. Video – O3b nears launch, infrastructure built, customers coming. ISR conference next April to feature key military and industry speakers.